Summer in winter, no snow, diving, freediving, desert, mountains and terrific atmosphere - these were our expectations of Egypt. After a few beautiful diving excursions - tours in the mountains under water, we are on the way from Nuweiba (near the border with Israel) through the desert Sinai. We passed a beautiful sand dune and at this moment we just thought, here we can do snowboarding - äh sandboarding. Would be cool if we had boards to try it out . But we did not, so no matter... but definitly it would be cool! In the next village, Dahab, a world famous spot for both wind - and kite surfers and divers as well. We wanted to hang out a few days, to check out what to do here. While walking through the village, suddenly we see three snowboards, presented at one of the many tour operators. Hmm, let's go sandboarding ! Chatting with the guys, we made out for the next day. 9.00 o´clock and off we go to ride the beautiful dune. Hot dry air, flying sand in the eyes and a lot of motivation to ride the dune. Of course we went up the dune to fast at the beginning, and were pretty much out of breath, the burning sun gave us the rest and so we were looking forward to the first descent. The untracked face was calling and after a few turns we got dialed in and enjoyed it a lot. 9. January 2014 - 10:34— Log in or sign up to post comments. Das hab ich auch schon mal gemacht! Snowboarden ist aber besser. Erstens bekommt man nicht so viel speed drauf im Sand und das Lenken ist auch nicht so einfach. 10. January 2014 - 21:38— Log in or sign up to post comments. Splitboarding ist besser, aber wenn mal irgendwo unterwegs ist wo man sandorden kann, sollte man es auf jeden Fall ausprobieren. 12. January 2014 - 23:51— Log in or sign up to post comments. 13. January 2014 - 9:45— Log in or sign up to post comments. Haha, ja spätestens wenns einen waffelt ist der Sand in jeder Ritze ;-) Habs vor 15 Jahren mal in Peru (Huacachina) probiert, die hatten damals noch nedamal richtige Boards sondern Selfmade mit Boden-PVC als Base und ner Art Wachs als Gleitmittel. 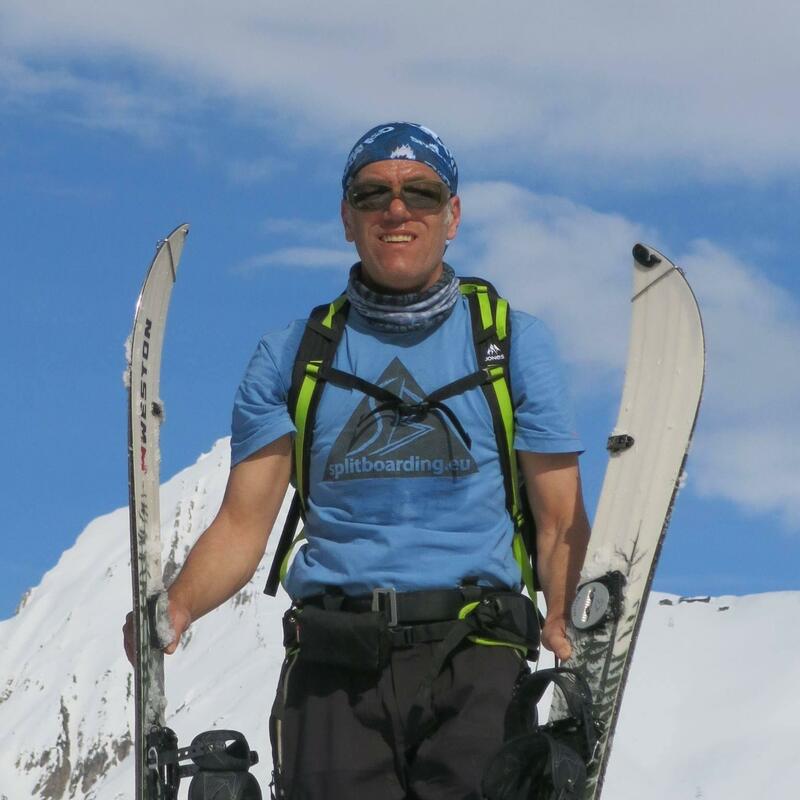 @Patrick, lässige Pics... nextes mal aber besser mitm Splitboard, des hochstapfen is doch sauanstrengend. 24. January 2014 - 10:07— Log in or sign up to post comments. Wir sind als Kinder in der Örtlichen Schottergrube / Badeteich immer mit unseren Skateboards mit abmontierten Achsen die Schotter und Sandhügel ins Wasser runtergefahren! War auf jeden Fall immer ne Menge Spaß - auch wenn die wenigsten die fahrt bis ins Wasser geschafft haben.